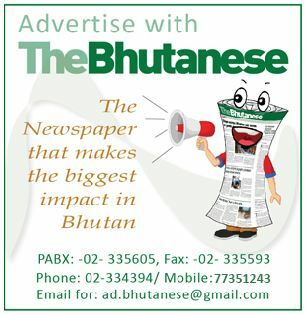 The Bhutanese has found that the vice president of the ruling Druk Phuensum Tshogpa, Chang Ugyen is involved in a Nu 300 million land scam in Thimphu. The land scam involves the misappropriation of around 10 acres of government and community land in and around Babesa, Thimphu in 1987. With land rates crossing Nu 300,000 a decimal, the scam, even by conservative market estimates is worth around Nu 300 million. The scam consisted of two cases and happened when he was the gup of Chang gewog in 1987. In the first instance, Chang Ugyen put seven acres of community land in Lubding, Lungtenphu, under his name and sold it to five buyers. In the second instance, Chang Ugyen converted his 2 decimal plot into three acres by forging documents(over writing on the thram). These cases were first uncovered by a special high level committee in 2003 set up to study land misappropriations in Thimphu. 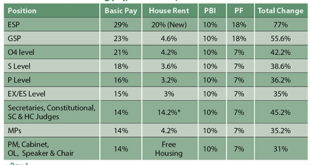 In 2005, the National Land Commission cancelled the thrams of around five buyers who had bought land from Chang Ugyen. However, after a high court verdict in 2008, the five buyers were given their thrams back as they were considered by the court to be innocent bystanders as they bought the land following legal procedures. 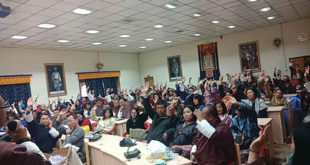 The court however acknowledged the right of the high level committee that investigated the case to have cancelled all the lagthrams of those who bought the land from Chang Ugyen. The National Land Commission then gave Chang Ugyen a final deadline until 2011 by which he was supposed to replace the seven-acre land of equal value either in Thimphu or in other dzongkhags. Chang Ugyen has so far been unable to replace the seven-acre land because even under the much more moderate government rates of PAVA (Property Assessment and Valuation Agency) the land value amounts to tens of millions. In regard to the three-acre land, he had given only 10 decimals to former Gup Naku and sold 5 decimals to Dorji Wangdi. Therefore, Chang Ugyen was able to return the three acre land to the government. The special committee of 2003 found that in a 1985 chaza thram, the Land Commission had no records of Chang Ugyen’s seven acre and three acre plots. However, in the 1987 chaza thram, the seven-acre and three acre plots appeared in Chang Ugyens name. These plots were without any Royal Kasho. Only His Majesty the King has the authority to give away government land. It was also found that there was tampering and overwriting with the 1987 records in the land commission. This was further established when the tampered records were compared with the 1985 records and also the dzongkhag records of the same thram. Coincidentally, in a strong conflict of interest, Chang Ugyen became the Chang Gup in 1985 and was still in office when the tampering happened. Also in another blatant conflict of interest, the Director of the Land Records, Lhaba Duba, in charge of maintaining the chaza thram received around 2.5 acres from Chang Ugyen from the seven-acre plot. Lhaba Duba sold the 2.5 acres to a buyer named Pem Choden. The other four buyers of Chang Ugyen’s seven-acre plot were Gopal Waiba (1.5 acres), Gaki (1 acre), Tshering Zam (2 acres) and Thinley Drukda (15 decimals). The high level committee’s investigation began as per the 80th session of the previous National Assembly where the councilors deliberated on the illegal use of government land in Thimphu. The Home Ministry issued an order stating that the high level investigation committee should survey the government land in Thimphu. It was found the land was registered illegally but the transfer of ownership was done legally. On April 30, 2008, Chang Ugyen filed a civil case in the High Court dissatisfied with the District Court verdict. However, since the criminal offences of tampering etc were not charge sheeted by the Office of the Attorney General (OAG), the court could not pass a judgment. Clause 6.4 of the judgment, says that Chang Ugyen’s criminal activities require to be charged. “Forgery is not a civil case, why was it treated as a civil case? The Attorney General’s office was asked to bring evidence, why didn’t they do it and follow up? He was asked to be charged for forgery, why didn’t they do it?” asked a lawyer who is aware of the case history. 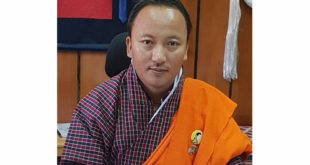 Though Chang Ugyen has been asked to reinstate the land, the crime of tampering with the original records has not been charge sheeted by the OAG under the excuse of bureaucratic procedure. According to an OAG official, the normal procedure to charge sheet a case of criminal nature is that it has to be investigated by the police or the Anti Corruption Commission and then forwarded to the office. The office in turn would scrutinize whether it merits a full criminal prosecution. Meanwhile apartment constructions have already started at the Lubding site. The area has been divided into five plots on what a local resident said was government land. A cowheard said he used to graze his cattle in this area before which belonged to the government. A National Land Commission official said, “The 2003 case happened before the Commission was actually established and a high level committee took the decision after a report was submitted.” “The chapter is closed and those land registered illegally by people got canceled,” he added. A local government official from Chang Geog said that he was aware of government land being sold. When The Bhutanese contacted Chang Ugyen, he refused to comment. In general, nobody has the right to sell any community land or give it away to anybody, said the Secretary of Ministry of Agriculture and Forests, Dasho Sherub Gyaltshen. “Even if the government wants to develop a project on a community land, public clearance should be sought and depending on their acceptance can the project happen,” he said.